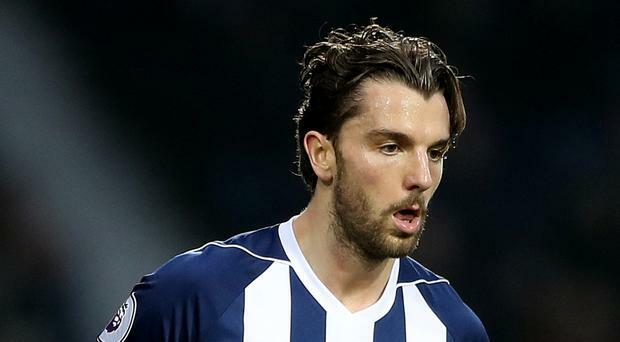 West Brom striker Jay Rodriguez said he is "in disbelief" after the Football Association charged him over his clash with Brighton's Gaetan Bong. The one-cap England international has been accused by Bong of using racist language towards him in the January 13 Premier League match at the Hawthorns. Rodriguez would face a minimum five-match ban if the case against him is proven but the 28-year-old former Burnley and Southampton player believes he should have already been cleared. Footage of the incident at the centre of the allegation shows Rodriguez and Bong arguing and bumping into each other. Rodriguez then holds his nose and waves his hand as if to gesture Bong smells. Bong immediately complained to referee Martin Atkinson who included the incident in his report, and the defender told French television channel SFR Sport that Rodriguez's comment was "racist in nature". But news of the FA charge yesterday was followed by Rodriguez writing on Twitter: "Absolutely gutted and in disbelief at the situation I find myself in. I 100% deny the false allegation and will take the correct legal advice to prove my innocence." The FA said he was charged with using "abusive and/or insulting words which included a reference to ethnic origin and/or colour and/or race". Rodriguez has until February 16 to formally respond to the charge, and West Brom have pledged to stand by him. The Baggies' director of football administration Richard Garlick said: "As a club we remain fully supportive and committed to backing Jay throughout this process." Cameroonian defender Bong posted a since-deleted comment on his own Twitter feed after the match against West Brom, writing: "Some words should not be said on a football field."